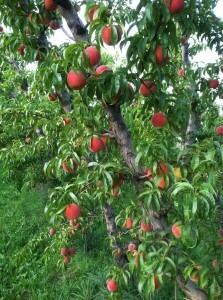 We wait to pick our peaches until they have developed their full flavor on the tree. We pick each tree up to five times in order to make sure that we are only selecting the fruit that are ripe in each picking. We believe that when you eat a peach, juice should run down your chin and your face should break into a smile! 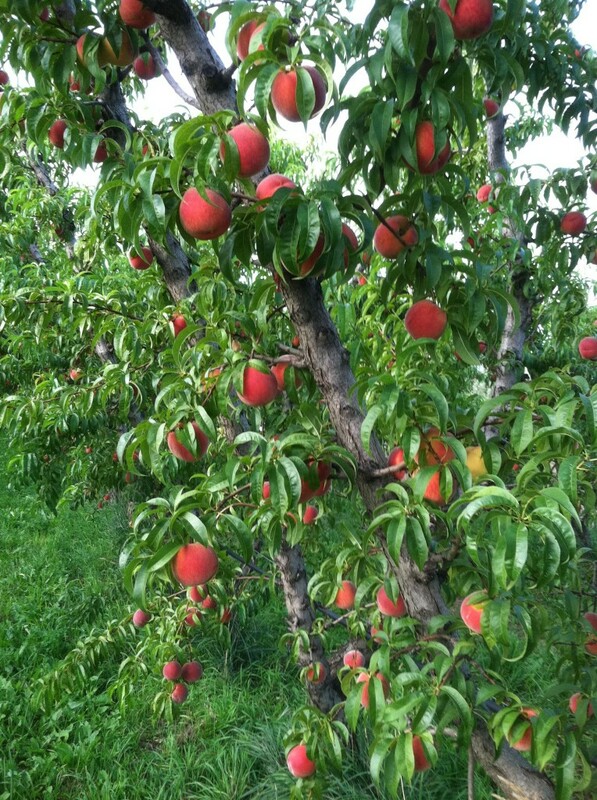 We plant multiple varieties of peaches since each variety only lasts for about two weeks from the first picking to the last picking. We select varieties for flavor and for the timing in which they pick. That way we can offer you mouth watering fruit from late July through the end of September. While most stores only offer “peaches”, we love to talk about the subtle differences between each variety. Each variety has different balances of sweet and tart, colors, skin textures, and how they come off the pit. Some have red colors in the center, others don’t. Some trees grow more vigorously, others are more wispy. Feel free to ask us about the nuances of each variety!